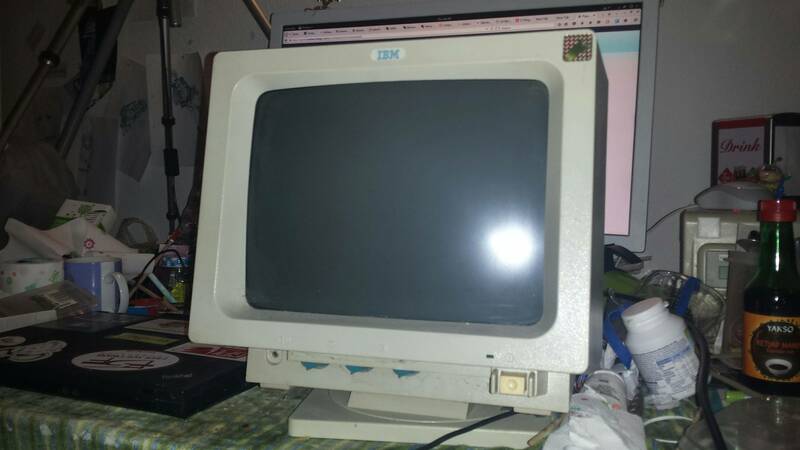 I have an old IBM monitor here and I'd like to use it as a second screen to my computer (Mac mini running Fedora or Thinkpad running Archlinux). I plugged it into the electricity socket without a computer connection once and turned it on. It made the typical old monitor static noise and nothing exploded. Still, I am not sure if it is safe to connect it to a newer computer. That's an IBM PS/1 monitor. The large DB connector is used to give supply to the computer (which has not a power supply of itself). 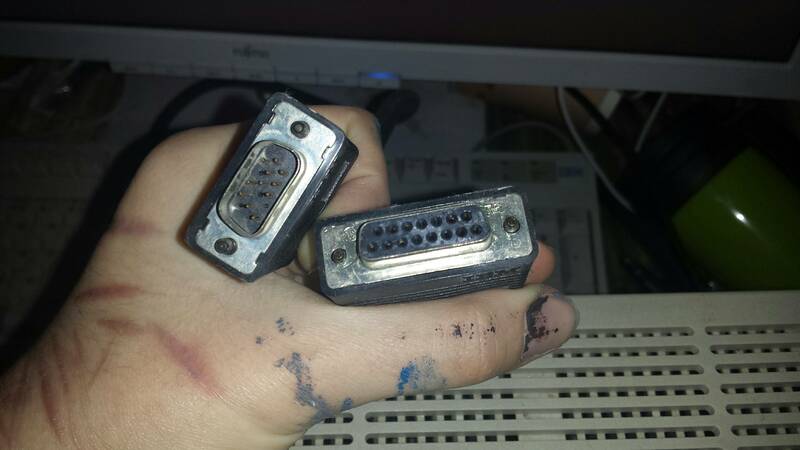 The monitor is VGA capable, so as long as you connect it to a VGA adapter and set it to 640x480 @60Hz, you are fine. The monitor can go down to 50Hz, and possible, up to 72Hz. If your Mac Mini is from 2009 or later, it will have two video output connectors: Mini-DVI and Mini DisplayPort, or HDMI and Mini DisplayPort, or HDMI and Thunderbolt, or 2x Thunderbolt. Any of these ports except HDMI can output VGA with a simple adapter. My ThinkPad (Lenovo W510) has a built-in VGA connector, and I've done dualscreen in Windows 7. Once the monitor is physically connected, you just have to go into your OS' display settings and configure it for 640x480 60Hz. If your monitor supports higher resolutions and/or refresh rates, you can try different combinations until you find one that doesn't make your eyes tired or give you headaches. Not the answer you're looking for? 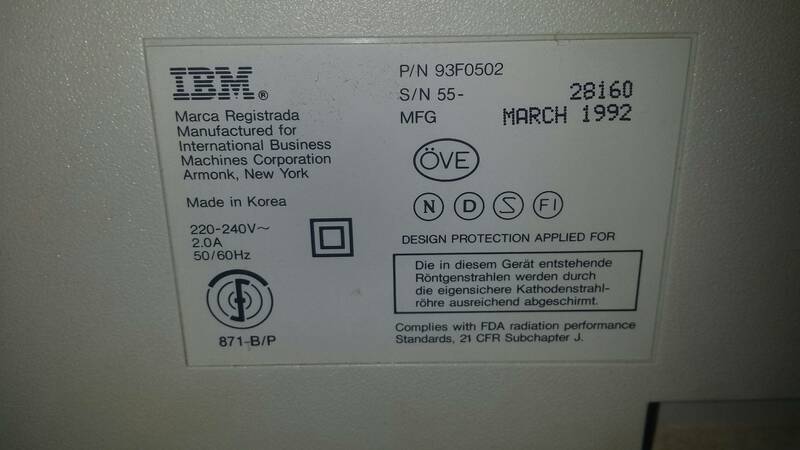 Browse other questions tagged hardware crt-monitor ibm or ask your own question. How can a ST-412 MFM hard drive be integrated with a modern PC? Can I install DOS version 6.22 straight from IBM BASIC?